At Enphase, we listen to your concerns and requests and are constantly working to deliver seamless support and the best service. Our goal is to match the effort we make to build premium products with the effort to provide a premium customer experience. They belong together. And in that spirit, along with telephone and email support, we are now delighted to announce our new 'Live Chat' support. With Live Chat, you now have the option for a quicker, simpler, more flexible way to get answers to your support questions. 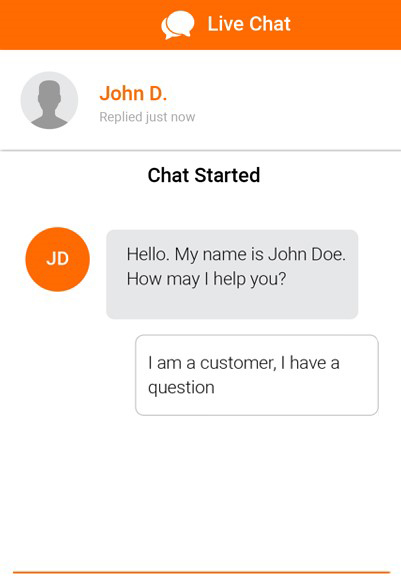 You can find our chat application on our contact support as well as our solar-professional support page. Enphase Live Chat agents are available during phone support hours in the US and Canada, Monday through Friday from 6:00 am – 4:45 pm Pacific Time. Live Chat gives you the flexibility to contact Enphase without having to hold on the phone. With Live Chat, you can get troubleshooting support from our technical experts at a time that suits your schedule. Click here to learn how to get the most out of Enphase support resources.